Grange is an excellent later-maturing, low birthweight animal from our best bull out of one of our best cow families. He has just been structurally assessed and he has outstanding intra-muscular fat and eye muscle area. His feet and legs scored well with 6s all round (5 is ideal on a scale of 0-10). Grange has excellent growth and $ index figures: he is in the top 3 animals in his year for long fed export index, supermarket and heavy grass fed indices. Whichever way you look at Grange’s figures, he always comes out as one of the top animals in the breed. 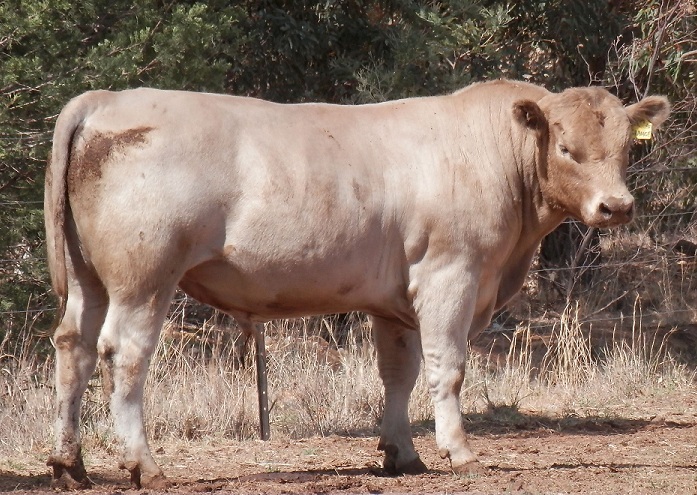 He offers a stunning combination of low birthweight, eye muscle and fat: to have high EBVs for eye muscle area, rib & rump fat and IMF, all comfortably in the top 5% percent of the breed, is extremely rare.